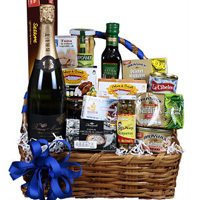 Product description: Perfect for any celebration, this Delightful Evening In Gift Hamper of Assortments will fetch you appraisal. 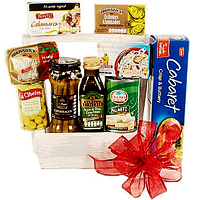 This Gift Hamper is teamed with a Sparkling white wine "Baron Maxime” 750 ml, Breton crackers 227 grs, Extra virgin olive oil 250 ml, 1 White asparagus 330 grs, Stuffed olives 300 grs, Imported capers can 100 grs, Sardines can 106 grs, Imported smoked oysters 85 grs, Imported mussels 115 grs,Angulas surimi 115 grs, Squid imported with olive oil 111 grs, Pink salmon "Brunswick” 210 grs, Iberian pâté of porco preto 125 grs, Tuna barrilete in refined vegetable oil 85 grs,Imported Anchovy fillets 48 grs. 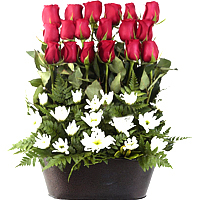 Let your loved ones feel your presence however far you are from them, when you gift them this Fabulous V-Day Gift of Imported Strawberry Truffles with 6 Gerberas N 2 Sticks of Lilies Gift Box wrapped up in the scent of your love. 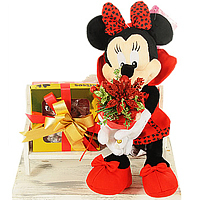 A beautiful Minnie Mouse its a wonderful idea for make you present in this Christmas with you family and friends, it includes:1 Minnie Mouse 30 cm tall approx. 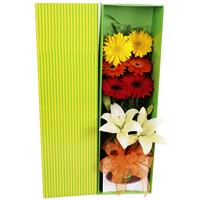 Kisses chocolates box 276grs. 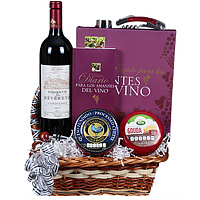 The gift contains of : 1 Soccer Tedy bear, 1 Soccer ball , 1 Cap.